Over the past week, two CubeSats called MarCO-A and MarCO-B have been firing their propulsion systems to guide themselves toward Mars. This process, called a trajectory correction maneuver, allows a spacecraft to refine its path to Mars following launch. Both CubeSats successfully completed this maneuver; NASA’s InSight spacecraft just completed the same process on May 22. The pair of CubeSats that make up the Mars Cube One (MarCO) mission both launched on May 5, along with the InSight lander, which is headed toward a Nov. 26 touchdown on the Red Planet. They were designed to trail InSight on the way to Mars, aiming to relay back data about InSight as it enters the planet’s atmosphere and attempts to land. 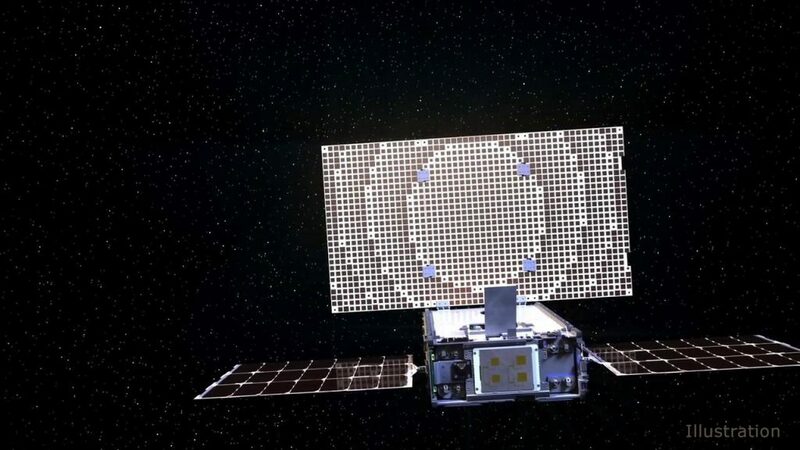 The MarCOs were never intended to collect any science data; instead, they are a test of miniaturized communication and navigation technology that can blaze a path for future CubeSats sent to other planets. Both MarCO-A and B successfully completed a set of communications tests in the past couple of weeks, said John Baker, program manager for planetary SmallSats at NASA’s Jet Propulsion Laboratory, Pasadena, California. JPL built both MarCO CubeSats and leads the mission. Once the MarCO team has analyzed data, they’ll know the size of follow-on maneuvers. Several more course corrections will be needed to reach the Red Planet. Should the CubeSats make it all the way to Mars, they will attempt to relay data to Earth about InSight’s landing. InSight won’t rely on either CubeSat for that data relay, however; that job will fall to NASA’s Mars Reconnaissance Orbiter.